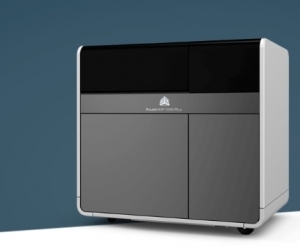 ProJet 2500 Series – 3D Rapid Prototyping, Inc. The ProJet MJP 2500 helps print precision rigid and elastomeric parts with true-to-CAD accuracy, superior surface finish and high quality edge fidelity for true functional testing. Each printer in the series is compatible with robust and versatile VisiJet®M2R* and M2G materials in rigid white, rigid black and new new VisiJet ProFlex M2G-DUR engineering clear. The ProJet MJP 2500 Plus does the same as well as offering additional material capability with rigid clear, rigid gray, new VisiJet Armor M2G-CL engineering clear and flexible elastomeric black and elastomeric natural with outstanding elongation and full elastic recovery.